Some time ago we tested FindFace, a service that compares photos with the database of avatars from the VK.com social network and looks for matches. Back then, my colleagues had some fascinating findings. I, to my dismay, made an unpleasant discovery. I did not take part in the testing myself: I was quite busy with other stuff, and besides, I don’t have a VK.com profile. To be honest, I don’t have any other social network profiles, either — at least none with my real name and personal photos — I really don’t like all that stuff. However, I was curious to see how the service finds people who look remotely like my friends, so I decided to look around. Hey, maybe have a long-lost twin brother. It turned out I had none. Or maybe I do, but that’s not what I found. Instead, I found a profile photo that was clearly me. Not just my face but also the same background, the same cat sitting on a very familiar-looking shoulder, the same painting on the wall. And the picture was taken from the same angle. In other words, the top of the search included my very own photo. As you might have guessed, someone took my photo and used it to personalize their user profile. The owner of the profile in question had also scavenged the Internet in search of photos belonging to strange-looking people and published posts on them, calling them his relatives and acquaintances. For some reason, I was also included in that collection, but he apparently liked my photo so much that he decided to use it as his own avatar. Having found the person who hid behind my photo, I thought of two things. First, how did the guy get my photo; and second, how can I regain control of my online photos? I knew who took the picture of me and when, and even where it was published: Back then it was posted in a private blog on LiveJournal. From there, it shouldn’t have leaked anywhere else, but obviously, it did. The search yielded even more fascinating results. My photo was used not only on LiveJournal, but also on another social network called Fotostrana (which means photo-land), a Ukrainian automotive forum, a women’s forum (in the “men and cats” photo collection), an amateur photo-hosting site, and a couple of dead websites only Google remembered. Looking at my own reflection in the mirror, I don’t quite get why the photo got so popular. The cat is probably to blame. But nevertheless, I don’t like seeing my photos on the Internet, so I decided to get rid of all these misused photos of me. I wrote claims to all of the aforementioned services requesting to take the photo down. Here are the results of my crusade. I didn’t care about the dead websites — they don’t have visitors anymore, so there’s no reason to bother. The amateur photo hosting was the easiest: It lets anyone who thinks any photo violates copyright report it. My case was a bit different, but my face occupies more than 50% of the photo, so I decided that I have at least partial copyright ownership. The website deleted the photo, not asking for any proof. The women’s forum did not reply, but the post that included the photo was taken down. The Ukrainian forum answered in several weeks and asked for proof, which I sent with no result. However, the user who published the photo posted only four times three years ago and vanished. So I did not bother much. After that, I had to tackle social networks. But my communication with VK.com was epic. First, the tech support did not understand what I wanted. They said that if I wanted to restore access to my account, I have to prove it was really me on the avatar. I was tempted to invoke karma and hijack the account — after all, it really was me in the picture — but I am an honest man, and I did not want to lie to the VK.com admins. I was talking to a brick wall. I asked them to delete the photo; they asked for evidence; I sent it; and then the conversation died. Time passed and I asked for an update: So, how about that picture? And then the cycle began anew. That happened at least four times. After the fourth time, I realized that tech support was apparently not seeing my evidence. I thought their e-mail service might not allow large e-mails. I don’t know for sure if that was the problem, but when I uploaded the photo to prove my case to a photo hosting and sent the link, the situation was miraculously resolved. The photo hijacker was banned for several days form VK.com, and I was asked to notify the admins if he did not change his avatar. He did not, so I reported him, and he was banned again — this time for a longer period. Finally, not complying, he was banned permanently. I’m sure I’m not the only one to encounter this problem. Try looking up your pictures on the Internet and I’m sure some of you would be surprised to find out that they are used not only by you. If you don’t want to sit idle and would like to do something about it, I am with you. At least now you know what to do. Here’s a couple of tips to help you avoid such situations or, if it’s too late, remediate them. Keep an eye on your photos and on how and where they are posted. 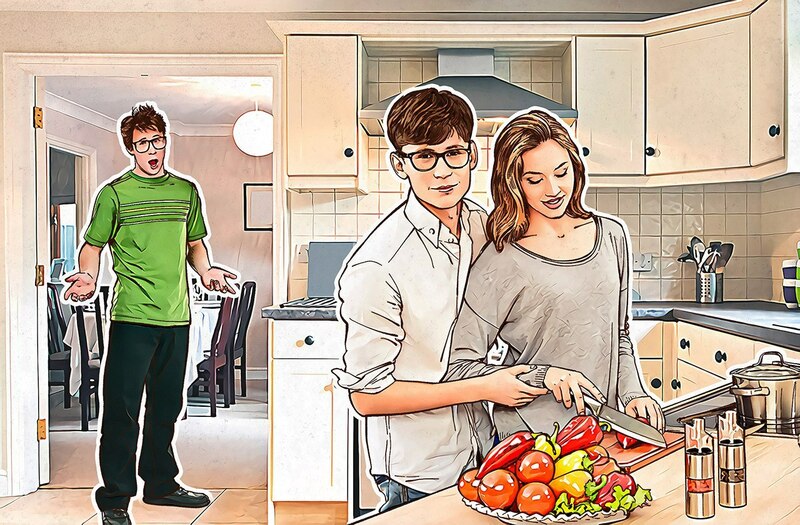 If you discover your photo in someone’s social network profile, don’t panic. All legitimate social networks are quite approachable; they readily delete photos and ban violators. Any photos that you want to provide to social network representatives are better sent by file exchange services than by e-mail. Don’t forget to delete the photo from the file exchange service as soon as you are done.